Instead of doing a port of the console version of Assassin’s Creed III, Ubisoft instead developed a standalone adventure for the Vita with Assassin’s Creed III: Liberation. 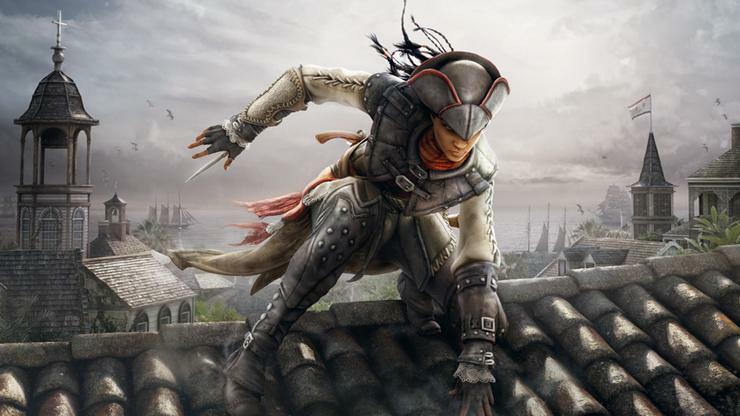 In addition to a different story, the player takes control of Aveline, who is different from Connor, the protagonist in the console version. The setting and period of the game is the same, so the player still has the opportunity to experience a similar level of frantic action and intrigue that takes place during the American Revolution. The first thing you will notice about Liberation is that it looks really nice on the Vita. There are often times when the game looks console quality and shows off the horsepower of the Vita. However, all of this visual candy comes at a cost, namely the framerate. Liberation runs slow on the Vita compared to the experience that can be had on the console version, to the point where it feels that Aveline is running though water. It is not limited to some parts of the game, but from beginning to end. Hopefully this will be rectified in the future with a patch. Fortunately, the familiar Assassin’s Creed gameplay and massive scale in the game world is there, which means that Liberation is still a fun experience despite the framerate issue. The story in Liberation is interesting and will keep the player engage throughout it, though it never quite reaches the heights of the past iterations of Assassin’s Creed on consoles, though it is not trying to. The improved controls of the Vita over the PlayStation Portable mean that the player is able to explore the game world more freely than was possible before, though the touch functionality in the game does not really add anything to the overall experience. - The scale and interactivity of the game world is impressive. - The graphics are detailed and the on-screen action is plentiful. - The Vita’s analogue stick setup means that controlling Aveline is a breeze. - The slow framerate affects the overall game experience. - The dialogue and sound effects sound a bit tinny, especially with headphones. - The touch controls feel a bit gimmicky. - The meat of the game is in the single player story which is a engaging in its own right, though not quite up to the same level that seasoned Assassin’s Creed may be used to. Assassin’s Creed III: Liberation is a fun and engaging game that is held back by a less than ideal framerate.